Crawford, Murphy & Tilly (CMT) has been the prime consultant to implement the design for a multi-year rehabilitation program of all three runways and associated taxiways (all bituminous) at Ronald Reagan Washington National Airport. The program consists of plan and specifications for three major construction packages. The design plan’s most challenging aspect is the conflict between the busy flying schedule at Reagan National Airport and the contractor’s paving schedule. CMT’s plans address the contractor’s method of rehabilitation required to close limited areas during the night to mill and overlay the asphalt pavement, while ensuring the pavement is ready to support the first arrivals and departures of commercial aircraft traffic the next morning. Very high quality materials and construction standards were specified to ensure the new HMA surface provides a long service life. The first construction package included complete resurfacing of Runway 15-33 (5200-feet x 150-feet) and portions of both major parallel taxiways. 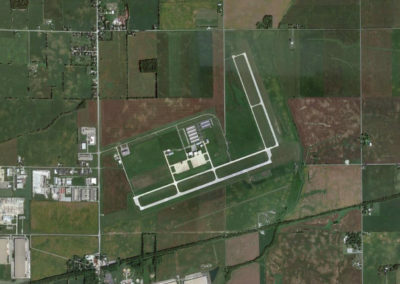 The second construction package included complete resurfacing of Runway 1-19 (6900-feet x 150-feet) and associated connector taxiways. 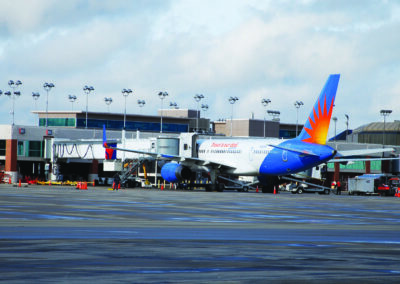 The resurfacing project was coordinated with the Runway 1-19 Safety Area Improvements being constructed at the same time. Package 3 includes complete resurfacing of Runway 4-22 (4900-feet x 150-feet) and associated taxiways. Design tasks include phasing, demolition, pavement geometry, pavement design, profiles and cross sections, pavement marking and electrical improvements. 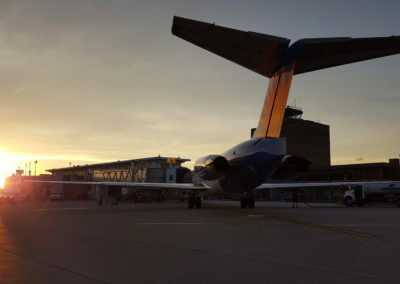 CMT has provided airfield engineering services to the Metropolitan Washington Airport Authority since the early 1980s.